The course is designed for staff members in Higher Education Institutions (HEIs) who have been designated as log-keepers. The aim of the course is to prepare delegates to effectively perform the role of log-keeper in an Incident Management Team (IMT). The course includes a practical exercise based on critiquing a simulated incident log; and concludes with a live log-keeping exercise using a pre-recorded 30-minute IMT scenario. No prior BCM training required. A good incident log is of great value in the effective management of any incident. The log also provides vital information for any post-incident review or external inquiry. 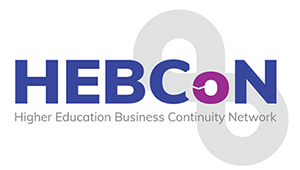 The module will be delivered by Cambridge Risk Solutions who have been delivering the very successful Business Continuity training. 9th November 2017 – Venue: London School of Economics, No1 Kingsway (on the corner of The Aldwych and Kingsway), 3rd Floor, room no 3.01F, London.